Imagine you’re 45 and in pretty good shape. You exercise several times a week, eat more 4 – 5 servings of fruits and vegetables per day, and outside of the occasional cold, are healthy. You’ve been married for over 18 years, have a couple of kids, nice house, and a good job. One morning you wake up to find that you can no longer move your right arm. Everything else in your body seems fine, you even have feeling in your arm, you just can’t move it. If you’re like most people, you’d schedule an appointment with your family doctor as soon as possible. You may even immediately head to the Emergency Room. You also would probably be completely open to several visits with various specialists in order to find out what’s going on with your arm. You’d sit through tests, scans, waiting rooms, and be willing to take whatever prescribed medication the doctor’s recommend. You’d be willing to go to physical therapy several times per week until your arm was working properly. The point is, you’d be willing to do almost whatever it took to have your body working well. Now, answer me this: What is it that makes so many people not treat their marriage the same way? If you wake up one morning and discover a problem (or finally admit to a problem’s existence), would you seek out help right away or would you hope the problem simply goes away on its own? It seems many people hope for the latter. Seek out a professional help. This is your best option. Pick up a book. There are many authors who can help you navigate the path the a better relationship. Incidentally, I’m one of them and you can pick up a copy of my new book, Naked Marriage: Uncovering Who You Are and Who You Can Become Together, today! Regularly read a blog. 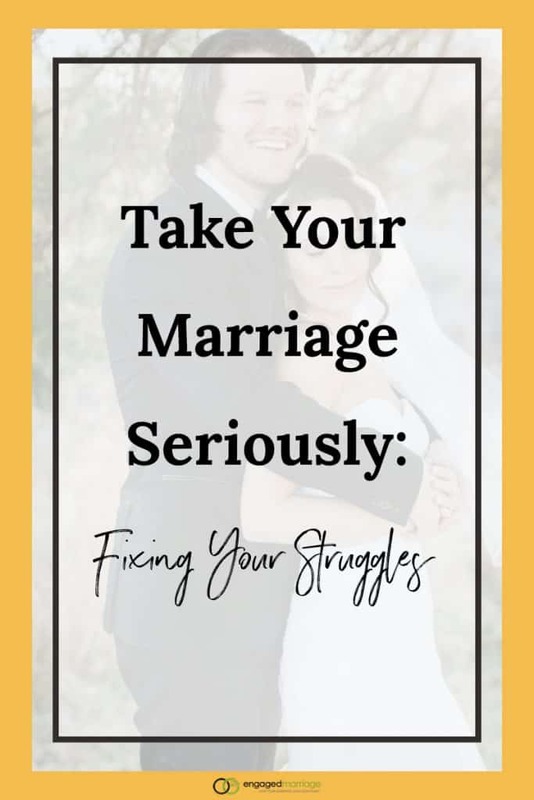 Sites like Engaged Marriage offers regular thoughts and challenges that will help. Plus other resources that are worth checking out. Dr. Corey Allan is a Marriage and Family Therapist, author and speaker who regularly creates resources that will help you in your marriage and family. You can find his newest book here. When I read the article, I was like yeah right. We need to do something when we discover something isn’t right. Or maybe it just lack communication.